Raise your hand if your workday consists of drinking too much coffee, replying to a seemingly endless stream of emails, and urgently messaging your co-workers on Slack. Raises hand. 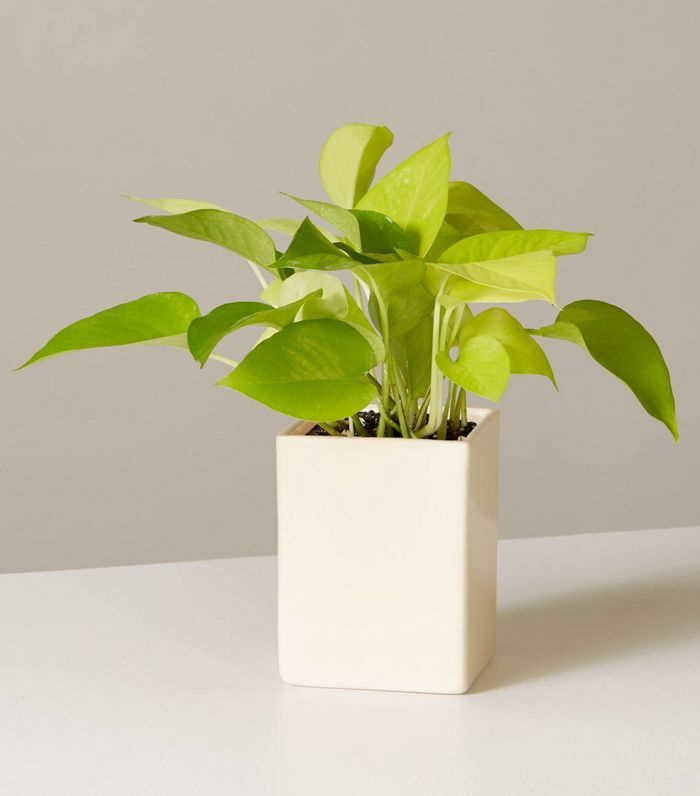 While it's admittedly difficult to disconnect from these tasks, there's one simple thing you can add to your desk to make it all a little bit easier—a desk plant. Believe it or not, a little greenery can go a long way when it comes to boosting your morale. To breathe new life into our workspaces, we asked The Sill's resident plant scientist, Christopher Satch, to shed light on how exactly to choose the best desk plants. Not only do plants produce oxygen, but they also "boost productivity, morale, and creativity," he explained when asked about the benefits of deskside greenery. "Studies have shown that having plants around also reduces stress levels," he adds. And "by having a plant to care for, employees are more empathetic toward others as well." Ahead, he shares which plants can survive a long weekend at the office, which watering methods result in optimal greenery, and which mistakes to avoid when caring for your plants. When choosing a desk plant, the most important factor, hands down, is lighting. "Light is food for plants," explains Satch. "If your desk is by a window, your options are far and wide. If your desk is away from a window, the quality and intensity of the light will be much poorer, so your choices become more limited." 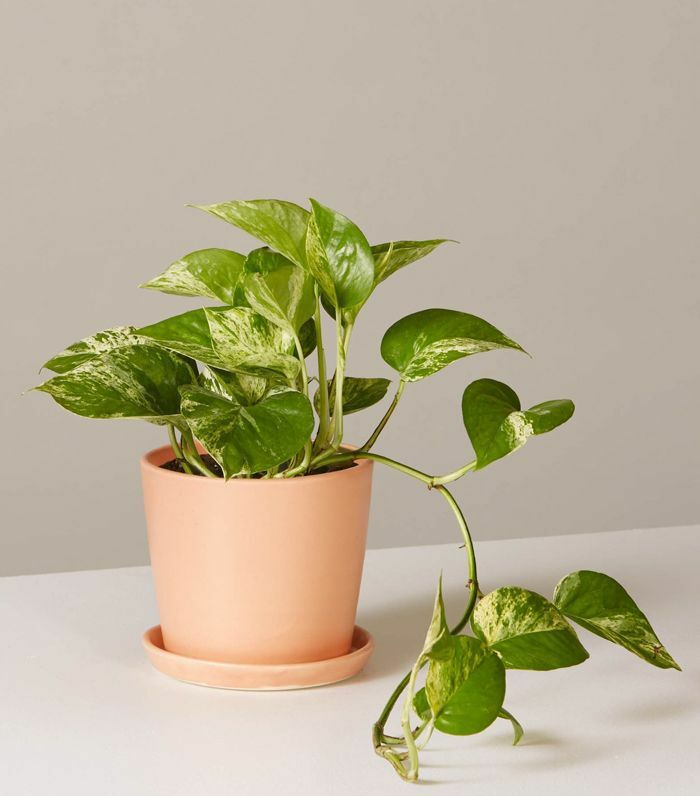 Regardless of how much (or how little) sunlight your desk gets during the day, "you'll need a plant that can withstand being alone for weekends and holidays without being watered," he adds. "Usually, most houseplants fit the bill, but some, like air plants, need daily attention and may not be the best choice." Another important thing to keep in mind? Temperature. "If your office gets blasted with AC or gets toasty with heat, these are things to be aware of when taking care of a desk plant," says Satch. "Soil will dry out faster in hotter, [more humid] environments, so [your plants] will have to be watered more often." On the other hand, "low humidity will crispify ferns, air plants, calatheas, and orchids." A mini marimo "moss" ball: "This cute aquatic ball is perfect for those who overwater—they live in water!" 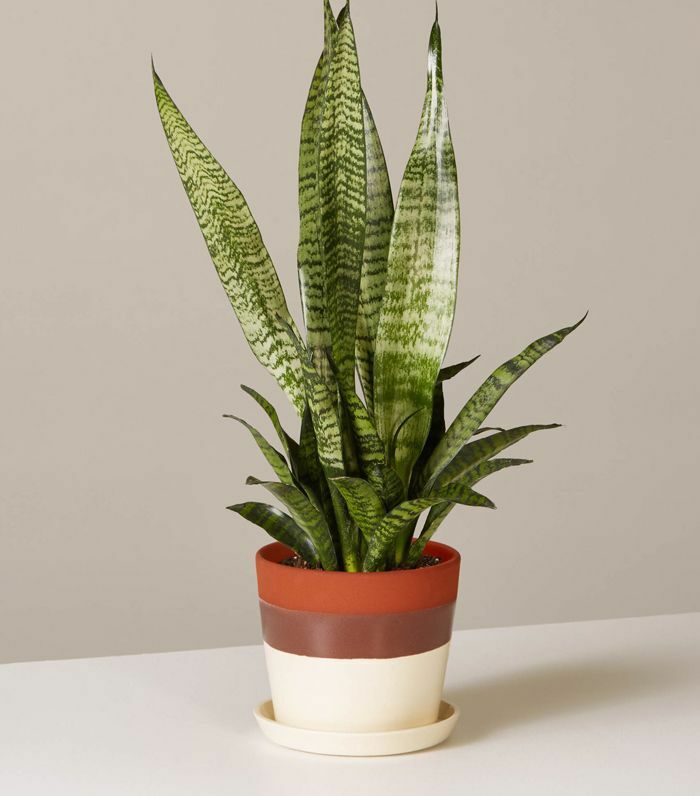 A snake plant: "The standard when it comes to lower-light choices, a snake plant can withstand low and bright light too." A pothos: "This vining classic can live off of fluorescent light, like the other two." In addition to boosting productivity, "plants filter the air both physically and chemically. They break down molecules called VOCs (volatile organic compounds), which are released into the air from things we interact with daily," Satch elaborates. "Paints, rubbers, vinyl, plastic, computer parts, carpets, and most synthetic things release these VOCs, and we breathe them in," says Satch. "Plants rip these molecules apart into nontoxic molecules like carbon dioxide and water." According to Satch, there are two really effective techniques for watering desk plants. The first method is to "pour a little water in the center on top of the soil, and let soak in, then pour more, let soak in, and so on until the water is saturated," he explains. The other "method is to soak the plant," says Satch. "Place the plant in a bowl. Then pour water on the soil until it comes through and fills the bowl about a half inch," he explains. "Let the plant sit there for a few hours, then remove, and let dry on its saucer." "When watering, you want to saturate the soil, so having a draining planter is key," he adds. "Also, you don't want to add water if the soil is already wet or moist. Not sure if you need to water? Feel the soil! If dry, then you can water." When in doubt, choose a desk plant based on the lighting conditions in your office. "Although you may want the flashy flowering plants or exotic citrus tree, unless you have direct sunbeams for most of the day, you can't have these plants—they require too much light," explains Satch. Keep in mind that light equals plant food. "Remember that your plants are living things! Don't treat them like furniture, and don't neglect them," recommends Satch.